To determine the effects of marine-derived n-3 polyunsaturated fatty acids (PUFA) on established and emerging lipid and lipoprotein cardiovascular risk markers in patients with type 2 diabetes. We performed a systematic review and meta-analysis of randomised controlled trials comparing dietary or non-dietary intake of n-3 PUFA with placebo in patients with type 2 diabetes by searching databases from 1966 to December 2006. Changes in the following variables were recorded triacylglycerol; total cholesterol; HDL, LDL and VLDL and their subfractions; lipid ratios; apolipoproteins; and cholesterol particle sizes. There were 23 trials on non-dietary supplementation, involving 1,075 subjects with a mean treatment duration of 8.9 weeks, with sufficient data to permit pooling. Compared with placebo, n-3 PUFA had a statistically significant effect on four outcomes, reducing levels of (1) triacylglycerol (18 trials, 969 subjects) by 25% (mean 0.45 mmol/l; 95% CI −0.58 to −0.32; p < 0.00001); (2) VLDL-cholesterol (7 trials, 238 subjects) by 36% (0.07 mmol/l; 95% CI −0.13 to 0.00; p = 0.04); and (3) VLDL-triacylglycerol (6 trials, 178 subjects) by 39.7% (0.44 mmol/l; 95% CI −0.83 to −0.05; p = 0.03); while slightly increasing LDL (16 trials, 565 subjects) by 5.7% (0.11 mmol/l; 95% CI 0.00 to 0.22; p = 0.05). There were no significant effects on total cholesterol, apolipoproteins, lipid subfractions or ratios. In addition to recognised triacylglycerol-lowering effects, n-3 PUFA supplementation decreases VLDL-cholesterol and VLDL-triacylglycerol, but may have an adverse effect on LDL-cholesterol. Larger and longer term clinical trials are required to conclusively establish the effect of n-3 PUFA on cardiovascular risk markers and outcomes in type 2 diabetic patients. The online version of this article (doi: 10.1007/s00125-007-0695-z) contains supplementary material, which is available to authorised users. Marine-derived n-3 (also known as omega-3) polyunsaturated fatty acids (PUFA have been reported to lower the risk of cardiovascular mortality in high-risk and general populations , although recent trials [2, 3] and a meta-analysis  have cast doubt on the strength of this evidence. There are limited data about the potential benefits for people with type 2 diabetes [5, 6], but two prospective cohort studies among women showed that the risk of coronary heart disease is much lower among women with type 2 diabetes who consume n-3 PUFA [5, 7]. The characteristic dyslipidaemia associated with type 2 diabetes may account for different treatment effects of n-3 PUFA in this population , but there are, as yet, no outcome trials in this group. 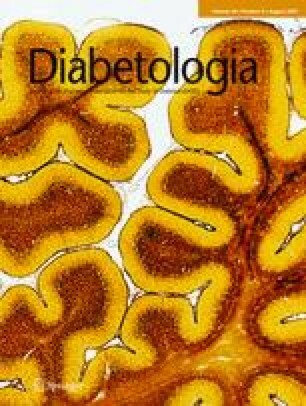 Although the effects of n-3 PUFA on triacylglycerol (TG), total cholesterol (TC), HDL-cholesterol and LDL-cholesterol have been reviewed systematically in meta-analyses in patients with  and without diabetes [10, 11], the only consistent effect reported in patients with type 2 diabetes is a significant reduction in TG concentrations. However, established cardiovascular disease (CVD) risk markers explain only some of the excess risk of CVD in type 2 diabetes , which may partly be due to abnormalities in LDL particle size and HDL subfraction concentrations , apolipoprotein concentrations  and plasma lipase activity . n-3 PUFA supplementation has been shown to have both beneficial and adverse effects  on lipid metabolism but no systematic review has assessed its effect on emerging lipid risk markers for cardiovascular disease. In a previous systematic review, we considered the effects of n-3 PUFA supplementation on thrombogenic and other emerging markers for cardiovascular disease . Here we examine the effects of marine-derived n-3 PUFA supplementation on emerging and established lipid risk markers in patients with type 2 diabetes in randomised placebo-controlled clinical trials, deriving, where possible, pooled estimates of effect size. We searched the Cochrane Register of Controlled Trials from 1986, MEDLINE from 1966, Embase from 1966 and the metaRegister of Controlled Trials up to 10 December 2006 for the terms fish oil, nutrition, diet, n-3 fatty acid, polyunsaturated fatty acid, eicosapentaenoic acid (EPA) and docosahexaenoic acid (DHA), as most n-3 PUFA supplements contain only EPA and DHA. A standard search filter was used to identify randomised controlled trials among people with type 2 diabetes . Duplicate publications were counted as individual abstracts and publications, but referenced as part of a single trial throughout the paper. Additional trials were identified by searching references cited in the primary trials identified. We restricted our search to trials in humans and included articles in languages other than English. No restrictions were placed on duration of the trial. Trials were included if they had a control or comparison arm. Trials were excluded if outcome or change data could not be obtained or if they had multiple risk factor intervention on lifestyle factors other than diet and supplementations, unless the effect of the different interventions could be separated. Criteria for assessment of trial quality included randomisation, method of randomisation described, blinding, blinding/objective measurements described and no loss/loss to follow-up reported. A score from 0 to 5 was given for each criterion of quality met (Table 1), with individual quality components indicated in Electronic supplementary material (ESM) Table 1 . From each trial, where given, the mean change and the SD between intervention and control groups were recorded for changes in TG; TC; HDL, LDL, VLDL and their subfractions; lipid ratios; apolipoproteins; and cholesterol particle sizes. In cross-over design trials, only data from the first intervention period were used. Data from trials that did not provide phase-specific results using the appropriate statistical methods were not included. Where serial measurement of an outcome was given during the intervention phase, changes from baseline to the final measurement were assessed. Where the study used two sets of doses, included comparisons of EPA and DHA or more than one control group, a sensitivity analysis was carried out to determine which comparison gave the smallest effect size , which was then reported as the main result. A fixed-effect model with weighted mean difference was used where no heterogeneity was observed ; however, results using the standardised effect are shown for comparison in Fig. 1. We evaluated potential publication bias using a funnel plot method. If the SD of the change between intervention and control group for an outcome was not provided, we derived them where possible from the 95% CI or standard error, assuming a degree of correlation of 0.5 between the beginning and end of each intervention . All analyses were done using Review Manager (Version 4.2.7; Update Software, Oxford, UK). From the electronic searches 886 abstracts were identified, of which 689 papers were excluded on the basis of title and abstract. Of the remaining 197 publications, 164 were excluded because 54 were not randomised, 12 were not placebo-controlled, 46 had multi-factorial interventions from which the effect of n-3 PUFA could not be separated or did not use n-3 PUFA derivatives, 47 included non-type 2 diabetic patients, three did not include human participants and two lacked data or did not report on outcomes that were relevant to this review. In the 34 published papers [22, 23, 24, 25, 26, 27, 28, 29, 30, 31, 32, 33, 34, 35, 36, 37, 38, 39, 40, 41, 42, 43, 44, 45, 46, 47, 48, 49, 50, 51, 52, 53, 54, 55] that met the inclusion criteria there were 23 trials of n-3 PUFA supplementation reporting results on 98 established and emerging lipid cardiovascular risk markers and involving 1,075 subjects with type 2 diabetes. The filtering process is indicated in Fig. 2. Table 1 shows the quality score, trial size and dose of n-3 PUFA supplementation used in each trial. The mean dose was 3.5 g/day (median 3 g/day; range 0.9–10 g/day) with a mean intervention duration of 8.9 weeks. The trials included in the pooled analyses were small, with a median of 23 patients. Seventeen of the published papers were duplicate publications of six trials [22, 27, 33, 34, 36, 37, 38, 40, 42, 43, 44, 45, 46, 48, 51, 54, 55]; multiple papers for each trial are indicated by the following grouping of references: [22, 38], [27, 34, 36, 37], [40, 54, 55], [42, 48, 51], [43, 46], [44, 45]. There was sufficient information on only 12 of the 98 outcomes to allow data to be pooled, the results of which are shown in Fig. 1, while Table 2 lists all the outcomes measured by the respective trials identified in the search. Trials included both men and women, except for one trial including only men . Two trials excluded pre-menopausal women [51, 54]. One trial compared different preparations of n-3 PUFA to the same control group  and another two compared two different control groups with the same n-3 PUFA supplement [29, 50]. Eleven of the trials used a cross-over design, all of these presenting data on the first experimental period [23, 25, 26, 28, 29, 32, 34, 35, 47, 49, 52]. The remaining 12 trials used a parallel design. Eighteen trials reported changes in TG level among 969 subjects (Fig. 1) [22, 26, 28, 29, 30, 31, 32, 34, 35, 39, 41, 45, 46, 47, 49, 50, 51, 54]. n-3 PUFA lowered TG concentration by 25%, a mean of 0.45 mmol/l (95% CI −0.58, −0.32: p < 0.00001, ESM Fig. 1). Data from five additional trials could not be pooled. Four of these trials reported a reduction in TG after n-3 PUFA supplementation [23, 24, 25, 52], while one reported no change  (Table 2). Seventeen [22, 26, 28, 30, 31, 32, 34, 35, 39, 41, 45, 46, 47, 49, 50, 51, 54] of 23 trials reported changes in TC among 979 subjects (Fig. 1). n-3 PUFA reduced TC by 0.02 mmol/l (95% CI −0.15 to 0.11; p = 0.80) (ESM Fig. 2). Data from six additional trials could not be pooled. Five of these reported no significant change in TC [23, 29, 45, 52, 53]; one trial reported an increase . Sixteen trials reported changes in HDL-cholesterol among 882 subjects [22, 26, 28, 30, 31, 32, 34, 35, 39, 41, 46, 47, 49, 50, 51, 54] (Fig. 1) n-3 PUFA non-significantly increased HDL-cholesterol by 0.02 mmol/l (95% CI −0.01 to 0.06; p = 0.21) (ESM Fig. 3). Five additional trials that were not pooled reported no significant changes in HDL-cholesterol [23, 24, 25, 29, 52] (Table 2). Three trials reported changes in HDL-2 among 72 non-hypertriacylglycerolaemic subjects [32, 47, 54] (Fig. 1). n-3 PUFA supplementation non-significantly increased HDL-2 by 0.03 mmol/l (95% CI −0.03 to 0.09; p = 0.30) (ESM Fig. 4). Four trials reported changes in HDL-3 among 114 non-hypertriacylglycerolaemic subjects [32, 46, 47, 54]. n-3 PUFA supplementation non-significantly decreased HDL-3 by 0.02 mmol/l (95% CI −0.07 to 0.03; p = 0.42) (ESM Fig. 5). The trials reporting HLD-2 and HDL-3 were of 8 weeks duration or less. Three trials reported changes in HDL-TG among 80 non-hypertriacylglycerolaemic subjects [34, 47, 48]. n-3 PUFA non-significantly decreased HDL-TG by 0.01 mmol/l (95% CI −0.05 to 0.03; p = 0.65) (ESM Fig. 6). Data from two additional trials not pooled showed no change in HDL-TG [23, 52]. Sixteen trials reported changes in LDL-cholesterol among 565 subjects [22, 26, 28, 29, 30, 31, 32, 34, 35, 39, 41, 46, 47, 48, 49, 54] (Fig. 1). n-3 PUFA supplementation increased plasma LDL-cholesterol by 5.7%, a mean of 0.11 mmol/l (95% CI 0.00 to 0.22; p = 0.05) (Fig. 1, ESM Fig. 7). Data from six additional trials could not be pooled. Three of these reported an increase in LDL-cholesterol [23, 25, 53] and three reported no change [24, 45, 52] (Table 2). Four trials reported changes in LDL-TG among 106 non-hypertriacylglycerolaemic subjects [34, 47, 48, 49] (Fig. 1). n-3 PUFA increased LDL-TG by 0.01 mmol/l (95%CI −0.03 to 0.06; p = 0.61) (ESM Fig. 8). Data from two additional trials could not be pooled, but reported no significant change in LDL-TG [23, 52] (Table 2). Four trials reported changes in LDL:HDL ratio among 116 subjects [25, 46, 48, 52] involved in trials lasting longer than 8 weeks (Table 2). However, data from these trials could not be pooled. A non-significant change in the LDL: HDL ratio in the n-3 PUFA compared with the control group was reported in three trials, whereas the remaining trial reported a reduction of 0.7% . Seven trials of 238 subjects reported changes in VLDL-cholesterol [25, 28, 34, 39, 47, 49, 52] (Fig. 1). n-3 PUFA significantly decreased VLDL-cholesterol by 36%, a mean of 0.07 mmol/l (95% CI −0.13 to 0.00; p = 0.04) (ESM Fig. 9). Data from one additional trial could not be pooled, but a significant reduction in VLDL-cholesterol was reported . Six trials reported changes in VLDL-TG among 178 subjects [28, 34, 39, 47, 48, 49] (Fig. 1). n-3 PUFA reduced VLDL-TG by 39.7%, a mean of −0.44 mmol/l (95% CI −0.83 to −0.05; p = 0.03) (ESM Fig. 10). Data from three additional trials could not be pooled. Of these, two showed a significant decrease in VLDL-TG through n-3 PUFA supplementation [23, 25] and the other showed no change  (Table 2). Funnel plots showed a degree of asymmetrical scattering with VLDL-cholesterol and VLDL-TG. Three trials reported changes in apolipoprotein B (apoB) among 92 non-hypertriacylglycerolaemic subjects [32, 34, 49] (Fig. 1). n-3 PUFA non-significantly increased apoB by 0.03 g/l (95% CI −0.11 to 0.17; p = 0.67) (ESM Fig. 11). Data from four additional trials could not be pooled, but all reported no change in apoB [25, 46, 52, 53] (Table 2). Three trials reported changes in apolipoprotein AI (apoAI) among 92 non-hypertriacylglycerolaemic subjects [32, 34, 49] (Fig. 1). n-3 PUFA decreased apoAI by 0.02 g/l (95% CI −0.15 to 0.11; p = 0.78) (ESM Fig. 12). Data from four additional trials [25, 46, 52, 53] could not be pooled, but only one reported a significant decrease in apoAI . Seven trials reported data on 19 additional lipoprotein subfractions, but the data could not be pooled [25, 32, 34, 46, 49, 52, 53] (Table 2). Apolipoprotein A was measured by one trial in ten subjects  but no significant change was seen with n-3 PUFA. Apolipoprotein AII was also measured by one trial with 14 patients , showing a significant reduction with n-3 PUFA. Lipoprotein lipase was assessed by three trials [32, 42, 53], all showing no change after n-PUFA or compared with control. Two trials [32, 53] measuring lipoprotein(a) could not be pooled due to insufficient data, but both reported no difference between intervention and control groups. Nine ratio markers reported by eight trials could not be pooled [25, 32, 34, 43, 48, 49, 50, 52] (Table 2). apoAI:apoAII was assessed in ten subjects indicating no change with n-3 PUFA . Another of these trials with 44 subjects  showed that the LDL:melonaldehyde ratio increased with n-3 PUFA supplementation. Five trials assessed 11 markers of oxidation [22, 31, 34, 46, 54]. F2 isoprostanes were reduced with n-3 PUFA in a trial of 51 subjects , as were lipid peroxides in another of 40 subjects  (Table 2). One study measured 27 different lipid particle sizes in 16 subjects , showing that n-3 PUFA increased small LDL cholesterol percentage composition. Another two trials showed no difference in LDL particle size with n-3 PUFA [46, 48]. Our systematic analysis provides the most comprehensive review of the effects of n-3 PUFA on established and emerging lipid and lipoprotein cardiovascular risk markers in type 2 diabetes. Compared with placebo, n-3 supplementation significantly reduced TGs by 25% (a mean of −0.45 mmol/l), VLDL-cholesterol by 36% (a mean of −0.07 mmol/l) and VLD-TG by 39.7% (a mean of −0.44 mmol/l). There was a modest 5.7% increase in LDL-cholesterol (0.11 mmol/l). n-3 supplementation was not associated with significant changes in plasma cholesterol, HDL-2 and HDL-3, HDL-TG, LDL-TG, LDL:HDL ratio or apolipoprotein concentration. The limitations of our systematic review include the restricted number of trials that assessed emerging cardiovascular risk markers as outcomes and the small size of trials. Some trials did not describe the methods of randomisation or blinding, so the degree of rigour with which they were conducted was not clear and their results therefore have to be interpreted with caution. It was not possible to pool all the identified outcomes because of non-standardised measurement units, non-reporting of changes in outcomes and non-phase specific data. The funnel plot analysis may indicate bias in reporting for selection or methodology of the trials for VLDL-cholesterol and VLDL-TG. However, we included trials reported in any language to reduce selection and language bias, and an assessment was made of the quality of the trials. Another significant limitation of the reported trials is the short duration of some of them, particularly those investigating lipid sub-fractions. In addition, all of the trials used n-3 PUFA supplementation rather than comparing the effects of different levels of dietary intakes. We are not aware of other systematic reviews of randomised controlled trials evaluating the effect of marine-derived n-3 PUFA supplementation on emerging lipid markers in type 2 diabetes, although a recent review included patients with diabetes combined with other patient groups in a high-risk group analysis . Three previous systematic reviews evaluated the effect of n-3 PUFA on cardiovascular events, lipid and glycaemic markers in type 2 diabetes [9, 56, 57]. However, we considered additional lipid, lipoprotein and apolipoprotein cardiovascular risk markers, and used changes in the mean from baseline to the end of the trial in the pooled analysis. We have also identified more recently published randomised trials. A fourth systematic review considered the effects of n-3 PUFA on TG, HDL, VLDL and LDL-cholesterol  in ten trials including 606 patients with hypertriacylglycerolaemia, but not type 2 diabetes. Three other systematic reviews of effects of n-3 PUFA in the general population [1, 15, 58] considered mortality as their main endpoint but also reported lipid markers. One further systematic review assessed the effect of n-3 PUFA on lipoproteins and their ratios in the general population . Our results are consistent with previous systematic reviews in patients with type 2 diabetes [9, 56, 57] and in the general population [1, 15], showing that TG levels fall significantly after n-3 PUFA supplementation. After adjusting for HDL, increasing levels of TG have been shown to be an independent risk factor for cardiovascular disease in epidemiological studies , so lowering of TG levels may be an important therapeutic effect of n-3 PUFA supplementation in patients with type 2 diabetes. TC levels were non-significantly lowered, similar to results of previous systematic reviews in type 2 diabetes [9, 56, 57] and in the general population , but were reduced in hypertriacylglycerolaemic patients . HDL was non-significantly increased, as shown in previous systematic reviews of type 2 diabetes [9, 56, 57], in the general population and in type IIa hypercholesterolaemia patients . The observed increase in LDL cholesterol was lower than previously reported [9, 57]. Although it remains a potential adverse effect of n-3 PUFA , this increase of LDL-cholesterol was not observed in pooled randomised controlled trials of hypertriacylglycerolaemic  or normolipidaemic patients [1, 15]. The extent to which the HDL and LDL lipid sub-fractions may explain the action of n-3 PUFA in reducing cardiovascular risk and how these differ among people with type 2 diabetes to those in other populations remains uncertain. Both HDL-2 and HDL-3 were non-significantly changed, although HDL-2, unlike HDL-3, showed an increase, contrary to a trial of patients with type II-b hyperlipoproteinaemia, characterised by concomitant elevation of plasma TG and LDL . We found that VLDL-cholesterol levels were significantly reduced, a similar finding to that with pooled results of clinical trials in hypertriacylglycerolaemic patients  and one that would be expected as a causal effect of the observed reduction of TGs. A corresponding reduction in VLDL-TG, as we found, is part of the mechanism by which n-3 PUFA reduce serum TGs , although in a trial of patients with type 11-b hyperlipoproteinaemia VLDL-TG was increased . Measurements of other lipid-related cardiovascular risk markers, such as LDL:HDL ratios and apolipoproteins, have also been proposed as treatment targets. However, we observed no significant increases in the trials that assessed LDL:HDL ratio after n-3 PUFA in comparison with placebo. Changes in LDL:HDL ratio were not observed in a systematic review of the general population , although in a trial on hypertriacylglycerolaemic patients with high TC and TG levels, the ratio was increased  as would be expected. We did not observe a significant effect of n-3 PUFA on apoAI and apoB, which is consistent with the results of a trial in hyperlipidaemic patients . The apoB:apoAI ratio is, according to the findings of the large multicentre study INTERHEART, incrementally related to myocardial infarction , but only apoAI:apoAII ratio was measured in one trial in this review . Similarly, there were too few trials to pool and comment further on lipid ratios, lipid particle sizes or oxidation factors, although single markers such as F2 isoprostanes  and melonaldehyde  were decreased in single trials. Observations made from the Framingham Heart Study  suggest that cholesterol ratios rather than TC levels provide a better predictor to reduce CHD risk, and a recent trial stratifying CVD risk factors showed that apolipoproteins are more informative of high CVD risk than lipid ratios alone . However, our results were not conclusive on the possibility of the protective mechanism of n-3 PUFA being exerted via these emerging markers in type 2 diabetes, as very few trials measured apolipoproteins, mostly in small numbers of patients. Beneficial effects of n-3 PUFA on established CVD risk factors would be expected to result in improved outcomes. However, any beneficial effect on emerging lipid markers may not result in a reduction in CVD risk because the prognostic significance of these markers in predicting risk is uncertain [68, 69]. In conclusion, our systematic review demonstrates that n-3 PUFA improves TG, VLDL-cholesterol and VLDL-TG, but not other emerging lipid and lipoprotein risk markers. These results, similar to an earlier systematic review [9, 57], highlight the design limitations of many of the published trials in type 2 diabetes. Rigorously designed and conducted randomised controlled trials are now required, measuring both established and emerging cardiovascular risk markers in type 2 diabetes to enable more comprehensive pooled analyses and improve the precision of the effect size estimates. Larger trials, including clinical endpoint trials, of longer duration are needed to establish the role and mechanisms of n-3 PUFA in CHD risk reduction in type 2 diabetes; indeed, four such trials are currently in progress [70, 71, 72, 73]. Part of this work was accepted as an abstract at the 65th Annual Meeting of the American Diabetes Association in San Diego, July 2005. A. J. Farmer, R. R. Holman and H. A. W. Neil have received research support from Solvay Healthcare, Southampton, UK and Pronova Biocare, Oslo, Norway.